We dust off our Dustin’ Off feature to take a look back at Warrior Kings. In Dustin’ Off we put an old videogame in the spotlight, examine what it did to stand out at the time, and whether or not it holds up today. Warrior Kings follows the story of Artos, the son of the soon-deposed baron of Carvant. The opening level of the game sends young Artos fleeing from his home, sparking his campaign of justice and vengeance. 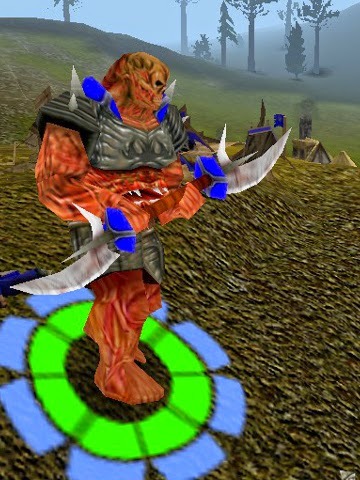 Developed by Black Cactus, released in 2002, Warrior Kings is a 3D real-time strategy game. Like many of its peers at the time, Warrior Kings has an overly complex resource gathering system that requires deft micromanagement of workers and carts. Materials, gold, and food are all gathered by workers; cutting down trees, mining ore deposits or working farmland (which also has to be built by workers first), respectively. But resources aren’t just collected, they must first be returned to the main keep or a warehouse, if a worker operates near these buildings they will just walk to them automatically. If they work near a village however, the resources have to be deposited at the village centre, then transported by cart back to the main keep or warehouse, the perfect target for enemy forces. Of course unit movement speed, especially for workers and infantry is tediously slow, and as I discovered when returning to the game, mapping workers and carts is neither easy nor intuitive. The combat is pretty similar and can cause some teething pains, while slow, the combat rewards precision and by extension, micro management. 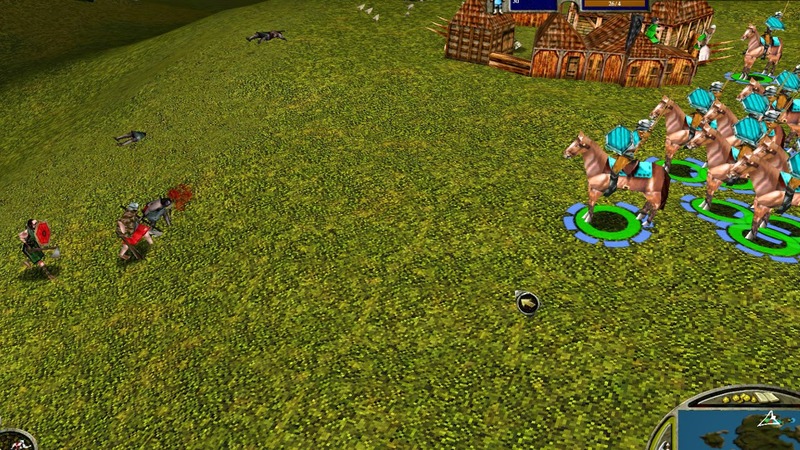 Due to the sluggish pacing of most of units, exploitation of unit attack range and animation time, as well as the shape of the terrain, is the key to victory. Concepts that are often present, but not really critical in today’s strategy games form huge pillars of the Warrior Kings gameplay. Even overcoming small battles consisting of just a dozen units, requires knowledge of a unit’s strengths and weakness. You cannot simply send a group of horse archers to attack a group of pikemen unattended, the arrows do so little damage, the implacable pikemen would reach and swiftly outmatch them. Instead the horsemen need to be constantly repositioned on hills, the higher the better for increased range. Steep slopes also provide a natural killing ground due to decreased movement speed, the focus of ranged combat can really be distilled down to maximising the number of volleys before retreating. In larger battles, this manner of battlefield awareness is difficult to maintain, but is often the deciding factor. Grouping units into formations can offer some assistance; providing offensive, defensive, and movement speed buffs, depending upon the formation chosen. Warrior Kings didn’t reward precise tactics; it made them down right essential. Warrior Kings cemented itself in the back of my mind for years not just for it’s finicky gameplay, but also because of its different development paths you can choose to explore. There are three distinct paths available; Pagan, Imperial, and Renaissance, each very different, with their own strengths, weaknesses, buildings and units. The Pagans are wilder, they practise witchcraft, summoning demons of all sizes; from the small but cheap Gibbering Hordes, all the way up to the gargantuan Abaddon. The Imperial path is pledged to the holy rather than the occult, and is less offensive than the Pagan horde. The Imperials are more classically medieval, leveraging the religious units like Bishops and Inquisitors, they too can summon a huge unit in the form of the Archangel. The Renaissance path is certainly the weakness in terms of raw combat ability, their focus is on destructive siege weapons. Using gunpowder and projectiles to raze enemy structures. It turns out a lot has changed in thirteen years of video games! Who knew? While I enjoyed revisiting Warrior Kings, I was not prepared for how hard it would be to play. Not necessarily the difficulty of the gameplay, more picking up the mechanics and pace. So much of the core gameplay of Warrior Kings is trivialised in modern strategy games. While I think resource management has been streamlined for the better, I really enjoyed the pivotal effect that exploiting the geometry and unit behaviours can have, to a degree we just don’t see anymore. I think there is still value in understanding and dissecting gameplay, and the unique development paths remain distinct, but it is very much a product of its time and requires some considerable patience to get grips with. Warrior Kings, and its sequel, Warrior Kings Battles are available on the Steam Store.